Professor John Walsh’s group at Warwick’s School of Life Sciences, Wellesbourne campus, has discovered natural plant genes that will make sprouts resistant to two of the biggest threats they face: Turnip mosaic virus and Turnip yellows virus. 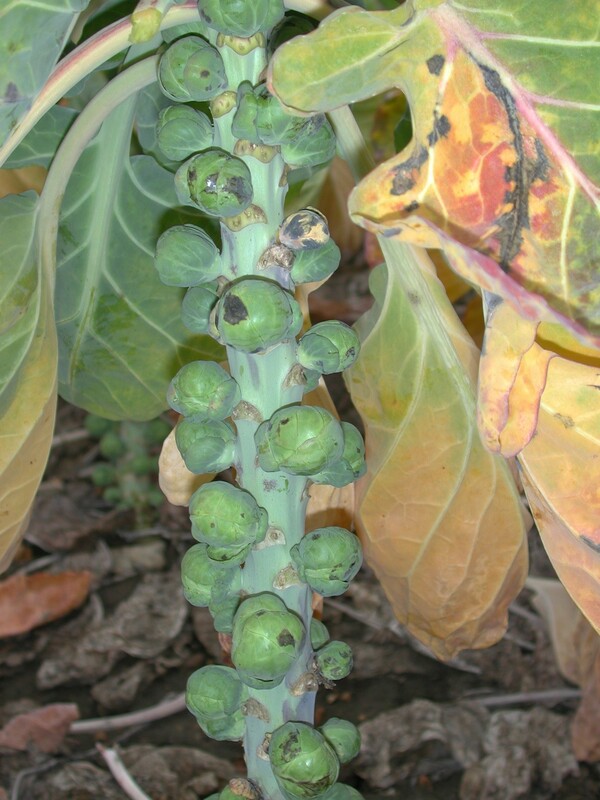 Both viruses are common, transmitted by greenfly, and can reduce the yields of Brussels sprout crops - in severe cases making them completely unmarketable. Each year there are fresh fears that sprouts will be decimated to the point of disappearing from our Christmas dinners. Turnip mosaic virus causes particularly severe symptoms, including black spots on the sprouts, buttons and leaves. Turnip yellows virus stunts the growth of sprouts, and can significantly reduce yield. Known as ‘the unseen virus’ it often gives little or no symptoms, so growers are unaware that it is present. In some years, when there are large numbers of greenfly, 100% of plants have been infected by Turnip yellows virus in some brassica crops. Even in years when there are few greenfly around, more than half of plants can be infected. Unlike many plant disease resistance genes – which can be rapidly overcome by new strains of pathogens - the enhanced resistance being developed at Warwick is durable, and an effective defence against a broad-spectrum of virus strains. Professor Walsh’s research is aimed at developing a comprehensive, integrated approach to controlling the virus and the greenfly vectors in the field – protecting not only sprouts, but other brassica plants. Warwick School of Life Sciences is an international centre of excellence with more than 80% of its research rated as 'world leading or internationally excellent' in the REF 2014 assessment, and 94% overall student satisfaction in the National Student Survey (NSS).